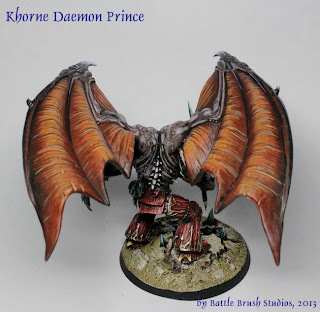 It's the metal Daemon Prince (with wings attached)! Not much to say here really. Fun to paint. And it felt oh so good to finally work with proper metal again. Painting the wings took quite a while and I hope it turned out well. Nice work. 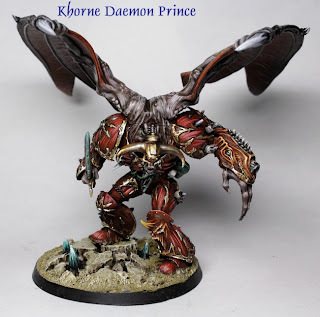 The base was obviously stolen from the Everchosen of Chaos.